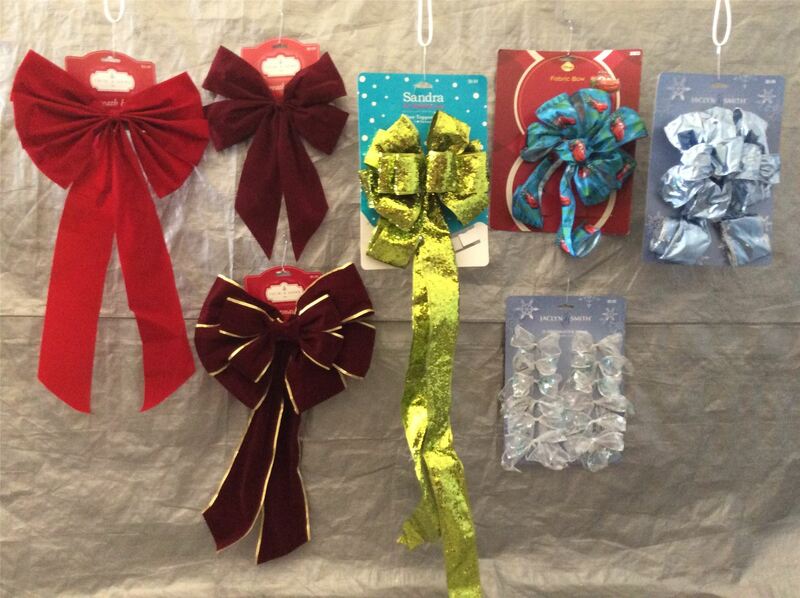 You are purchasing a wholesale lot of assorted Christmas Tree Bows. The lot contains 20 items. The lot is mixed with single bows and packs of 2 or more. The lot is a mixture of different colors and sizes. Click the button below to add the Wholesale Lot of Assorted Christmas Bows, Tree Topper Bows, Holiday Decor Lot of 20 to your wish list.